If you wake up early just as the sun in rising the deer come close to the château our friendly peacock came to visit us while we had breakfast then sadly had to say goodbye to the Countess, I have many fond memories of this place. Our next stop is Lyon its about 450km drive. On the way, we call into the lovely village of Tour, with its gorgeous old buildings some Tudor style – every street is breath taking. 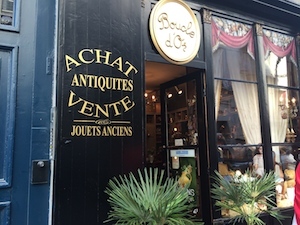 Old antique stores, and the most delicious patisseries, cholocatiers – boutique clothes shops where I bought a lovely scarf. We then set of on our journey to Lyon. The tolls are confusing, traffic jams it’s a very long drive into Lyon very exhausting. We arrived at our motel room around 7pm. Next morning after a good night sleep we set of early to have some breakfast and buy some fresh fruit and vegetables from the farmers market. Then visit the Sur la Saint-jean, une tre’s ancienne coutume du Vieux Lyon, la foire aux tupiniers, the potters fair in old Lyon. It is filled with pottery from all over France and Europe and has been operating for 17 years. Old Lyon is the most beautiful city its been a different experience staying in Lyon were in the middle of the city so it’s a short walk to the shopping centre tomorrow we leave for Italy.